Okay, so Leaving us this week is Snickers_4314 as she did not complete the task. We had a total of 28 votes. But she did not comment saying the theme she wanted so I will choose again this week. * if I spelt your username wrong please tell me & I will change it. 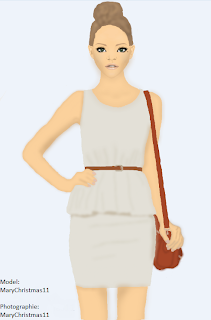 This task is to create a style for "Prom"
It can be done via Drawing or a Graphic. Cheaters will be eliminated so please make your own look. * Please write your username on your drawing or graphic before uploading it. But the Example Image don't want to show me :( Please, can you poblish a link of the picture :/ ? Do you want to see only the dress or the dress with the head...face...? Today is 29th .. :S Or it will be tomorrow?